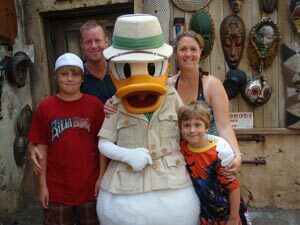 Planning a Walt Disney Trip | Planning A Walt Disney World Trip? Planning A Walt Disney World Trip? Planning a vacation can be a chore in and of itself. Even worse when you are planning a trip to Disney! Your kids have probably been driving you absolutely banana’s to go, which creates a domino effect of skyrocketing your stress level, raising your blood pressure, and kicking in your fight or flight response (In this case flight… Somewhere far, far away from children!). Needless to say, with all of that pressure, it is pretty darn tough to plan a proper vacation and do it on the cheap. Or at the very least, affordable. Never fear, I have your back. Keep reading, you are going to learn how to plan the best darn Disney vacation on the planet, and all without even breaking a sweat. consider if you can afford it. For those that can’t though, the first step is to decide on the nuts and bolts of your trip. For example, arrival and departure dates. Decide whether or not you want to brave peak season or go off season. Decide whether you are driving or flying. Figure out which is more cost effective and easy on your sanity. Choose whether you will stay in a Disney hotel or vacation home. Vacation homes can be a great and affordable option if you have a large family or are going with relatives and can split the costs. Those are the 3 basics you need to getting there and being able to function. Plan your meals in advance. If you don’t know it yet, you soon will. Disney is a tourist trap. Especially when it comes to preying on families becoming weak with hunger! And meals out can get expensive, especially if you have a large family, so plan for that in advance. If you are hoping to dine in a special place, or with special Disney characters, then you need to do some digging and find out the places to go and book reservations as far in advance as you possibly can. It would be a shame to get to Disney, decide you want to dine with Goofy and Pluto, and be unable to do so because the 10 families ahead of you booked their dining experience 6 months ago. That is just the nature of the beast, especially if you are attending during peak season. Plan your attraction itinerary. I know it sounds a little boring and the complete opposite of what you may imagine a Disney vacation should be, but trust me, you will thank me later. Especially if there are kids involved! You should be able to get on the Disney website and find maps and schedules for their different parks and attractions. Some parks or attractions may open earlier than others or close later than others. All of this information is good to know, so that you can plan each day accordingly, and be able to really see all that Disney has to offer. Remember that without planning, you are planning to fail. Yes, even on a Disney vacation this holds true. Ever been kicked in the gut by a 5 year old’s face and disappointment because you failed to plan and now they are not going to get to meet Cinderella or Mickey Mouse? ‘Nuff said! Finally, shop around for park tickets. Yeah, it might be a bit easier to purchase straight from the ticket counter when you get there, but why do that if you can find them elsewhere for a few dollars cheaper? It is always important to keep your budget in mind when you are planning your perfect Disney vacation. There is nothing worse on vacation than running out of money too quickly and missing out on some great experiences because you failed to plan and budget properly. So do whatever you can where ever possible to cut a few corners and save a few bucks. Trust me, your family will love you for it. This entry was posted on Friday, August 6th, 2010 at 2:40 am and is filed under Planning Your Disney Vacation. You can follow any responses to this entry through the RSS 2.0 feed. You can leave a response, or trackback from your own site.